Since 1962, 22 different space missions have visited the planet Venus. On December 14, 1962 Mariner 2 flew by the planet, using a pair of radiometers to find that Venus is cool at the cloud tops and hot at the surface. Venus has had the largest number of targeted missions, other than those to the Moon. 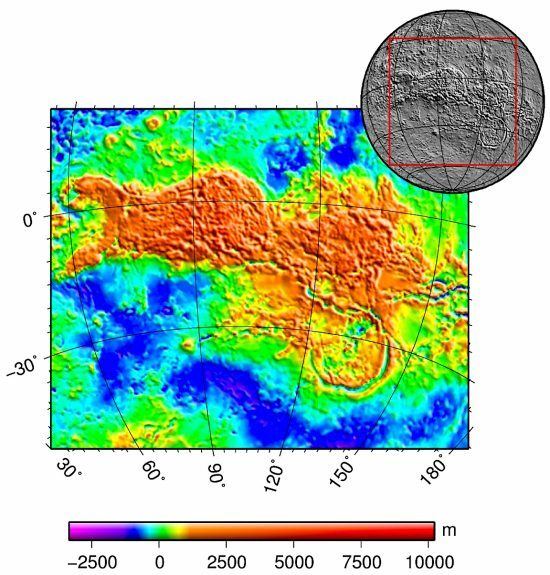 On November 9, 2005, the European Space Agency (ESA) launched Venus Express, a twin spacecraft to the Mars Express satellite, on an extended mission to map the second planet using radar. Since Venus is covered with a visually opaque blanket of carbon dioxide and sulfur dioxide clouds, radar technology is the only way to “see” beneath them. Perhaps more information just published can answer those questions and help to explain the connection between density waves in the Venusian atmosphere and the particle fountains above higher terrain. The electric field on Venus is so strong that it pulls electrically charged water vapor hard enough to eject it from the planet’s gravity field. In the upper cloud tops, ultraviolet light breaks water into its constituent elements, hydrogen and oxygen ions, which are accelerated away by the electric field. However, that field is stronger than anyone expected—five times more powerful than Earth’s field. Probably the most important point in Electric Universe theory is that the Sun and Solar System are in a state of dynamic equilibrium. At some point in the recent past, Venus, Earth, Mars (and probably most other rocky bodies), experienced an increase in their electric fields, as well as their magnetospheres. Many of them either extended plasma tails of such length and strength that they engulfed other planets and moons, or they entered unstable orbits that brought them into dangerous proximity to each other. Perhaps both situations existed. Venus exhibits many signs of that recent catastrophe: filamentary cracks that extend for hundreds of kilometers, giant formations called “coronae” that are accompanied by massive fracture zones, branching out like carved lightning bolts, and vast caldera with upraised rims and glassified, crazed interiors. In past Picture of the Day articles, various features that are common to electric discharge events were itemized: craters with wide, flat floors and steep sidewalls that are often terraced; sinuous channels, or canyons, with vertical side walls, scalloped edges, no outflow debris, and flat bottoms; mesas with forty-five degree “shoulders” and escarpments that are often etched with parallel, vertical grooves; dual-ridge faults with no sign of strike-slip and sometimes with other faults cutting across them at ninety degrees. 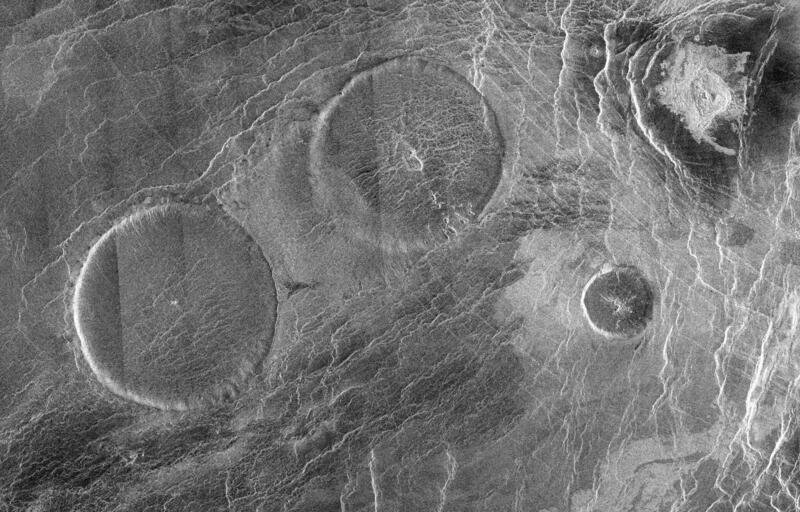 All of those structures are seen on Venus. So, rather than physical geography, the particle fountains on Venus are most likely similar to those found elsewhere in the Solar System. Like them, they are heavily influenced by electrical forces, and the increased flux density on the high mountains of Venus increases the electric field above them. This effect is most likely what drives the dissipation of ionized gases out of the atmosphere.